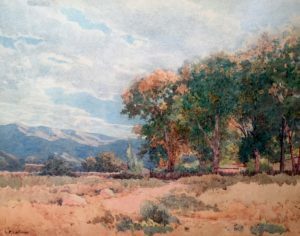 Lorenzo Palmer Latimer flourished as a leading watercolor painter in California between 1880 and 1940. 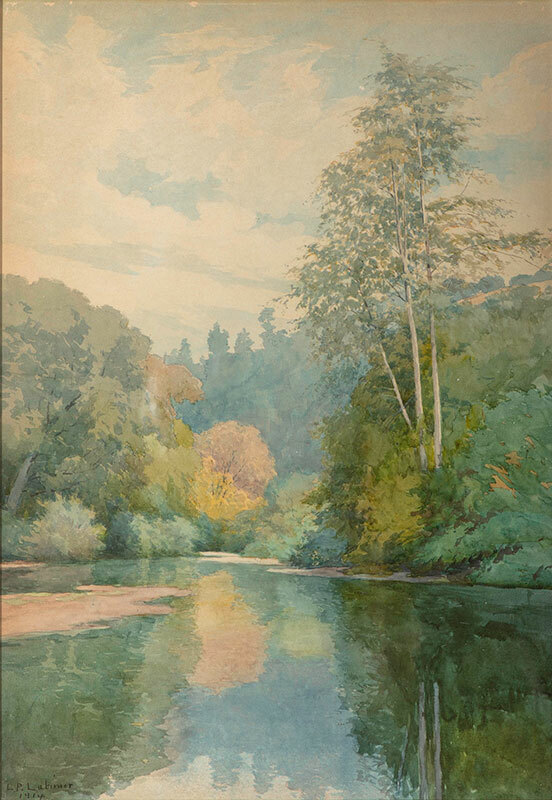 One of California’s first native-born painters, Latimer studied at the California School of Design from 1879 to 1881. Upon graduating, he supplemented the income derived from his art by teaching classes of students. 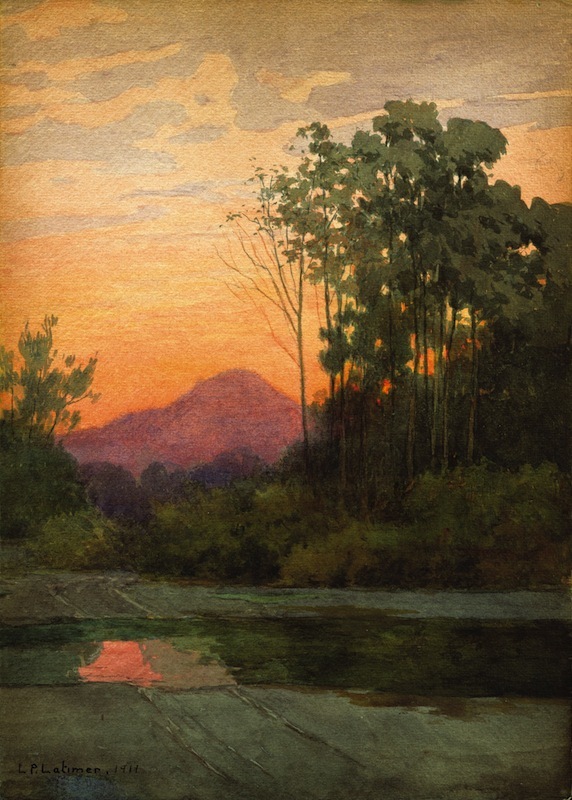 Latimer was a believer in studying nature firsthand, and his students spent much time in the field sketching in watercolor alongside their teacher. With all this practice in watercolor, Latimer discovered that he did his best work in this medium. 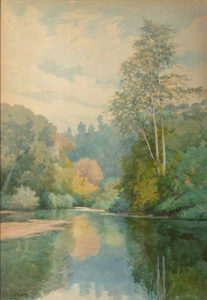 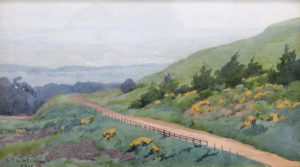 Latimer’s work won many prizes at various California exhibitions, and his paintings were favorably reviewed by San Francisco art critics.